Jem and the Holograms was arguably one of the most influential series in the 1980s, surpassing expectations with rich characters and involved storylines that appealed to both females and males. The animated series was based on an already existing line of dolls from Hasbro, and follows Jerrica Benton and her holographic alter-ego Jem, and involves love triangles, band battles, and so much more. Christy Marx was brought in to spearhead the series, creating full character biographies and lush backgrounds, intricate relationships, and deep storylines from the dolls. She also developed new characters as the series progressed. This isn’t some shallow show about fashion and beauty—Marx created a believable world with dynamic characters, tackling such issues as illiteracy, teen drug abuse, and runaways. I guess it’s needless to say, but Marx is kind of a big deal. In addition to Jem, Marx has written for various other notable series, such as Teenage Mutant Ninja Turtles, G.I. Joe, Captain Power, Conan the Adventurer, and Hypernauts, among many others. Jem creator Christy Marx. Photo courtesy John Vu. But, Jem is Marx’s most memorable project. The series enjoyed three years of glamour, glitter, fashion, and fame, running from 1985-1988. Currently, the series is airing on The Hub in the U.S. and on Teletoon Retro in Canada. Jem is truly outrageous… truly, truly, truly outrageous. With a recent resurgence in visibility for Jem, rumors have been flying about a possible series reboot or movie. Hasbro acquired the rest of the rights to Jem and the Holograms when they purchased the Sunbow catalogue from Sony, and followed up with a complete series DVD release from Shout in October 2011. The presence of Hasbro at the New York Comic Con touting vintage dolls (used to promote the series coming to DVD) didn’t put these rumors to rest, either. 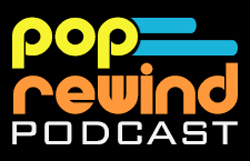 Pop Rewind was lucky enough to engage in some email back-and-forth with Marx to give our readers a little insight into the creation of the series as well as a look at possibilities for Jem’s future. The show even tackled Roxy’s (from The Misfits) illiteracy. One of the elements that set Jem apart from the other animated shows at the time was that it dealt with more adult themes on a regular basis (with Hasbro’s full support). There were other issues Marx would have liked to tackle on the show, however, but was not able to. “There was no fighting over anything. Hasbro was quite supportive. There was only one show that I wanted to do that Hasbro wasn’t comfortable with and that was one that dealt with alcoholism. If I’d been willing to compromise on the story I wanted to tell, they might have approved it, but I didn’t feel the story was worth doing if it had to be watered down too much,” explained Marx. The series did well touching on more mature themes, of course, another of which was the “love triangle” between Jerrica, Rio, and Jem. While the audience didn’t get to see the triangle resolved, Marx still has her ideas for the ending. “I feel the truth would have to come out eventually. What happens after that is something I’m keeping to myself for now. I would still like to tell that story one day,” Marx teased. Future storylines past the 65 episodes were never developed beyond the Stingers material, with the Stingers dolls remaining unreleased. “We were told there wouldn’t be an additional pick-up before we’d finished all the shows, so I never thought beyond what we were already working on, which was the Stingers material,” added Marx. Jem, Rio, and Jerrica were unable to “get their love together”. The three main bands on the show (Jem and the Holograms, The Misfits, and The Stingers) all exhibited tremendous talent, but Marx is partial to Jem and the Holograms’ music. “We had such talented people working on the music. I thought all three groups had a mix of good songs and ordinary songs, which is what you’d expect when having to create that much music. More often than not, I tended to like the Jem and the Holograms songs the most. I liked the harmonious, upbeat nature of it,” explained Marx. Jem and the Holograms’ music video for “I’ve Got My Eye on You”, one of Marx’s favorites. Although it has been a long time since she’s listened to the music, Marx cites Jem and the Holograms’ “I’ve Got My Eye on You” as a song that has always stuck with her. Marx isn’t sure what Hasbro has planned for Jem and her pals, or if that includes a re-release or a re-design of the dolls, should any dolls come out at all. If a reboot is in the works, Marx would like to see it done in an alternate form. “I’d update the series and the characters, but I would also deal with what happened in the original time period. I don’t feel that simply redoing a 1980s series would work,” Marx explained. At the time she was working on Jem, Marx had no idea that the show would ever have the impact it did on a generation. “It’s an amazing thing,” she noted, also confirming that Jem has been the most rewarding and enjoyable project she’s worked on so far. “Nothing else quite compares,” she continued. 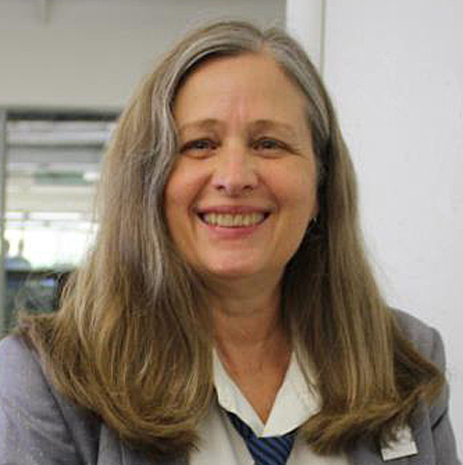 Beyond the universe of Jem and the Holograms, Marx is an accomplished video game designer and writer, having started her career making adventure games for Sierra On-Line in 1988. It would be interesting to see worlds collide with the release of a Jem and the Holograms video game, should the series see any kind of reboot. “I absolutely think a Jem game could work today. I don’t recall anyone discussing it at the time the series was being made, but that’s mainly because video games barely existed then,” Marx said. Currently, Marx works almost exclusively in the area of game design and game writing—with her work ranging from creating an original Intellectual Property (IP) for a Massively Multiplayer Online Game (MMOG) to writing dialogue for a Lord of the Rings game. She is also a Narrative Designer for Zynga, making social games. As for the future, Marx promises that some exciting possibilities are in store, but remains tight-lipped. “All I can promise is that it will involve ways for me to exercise my storytelling muscles,” teased Marx. I love this show and I’m glad they’re putting it more in the limelight now. I kind of hope they don’t touch it or try to redo it, though the Hub channel and its reboots of classic shows are actually REALLY well done. Jem is a classic! I keep waiting on more news for reboots/re-releases, but nothing yet.